A montage of classic images of Muhammad Ali. 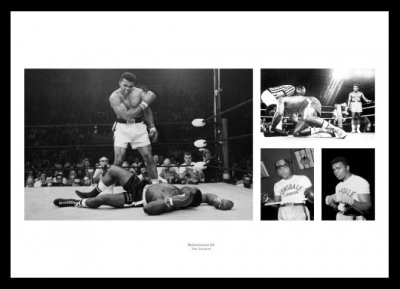 The montage's main image is the iconic photo of him standing over Sonny Liston. It also features his famous 'Rumble in the Jungle' fight against George Foreman, as well as two portraits of Ali.